It’s not about the technology, it’s not about the processes, it’s all about the people. Without a focus on the latter, the former have no worth. The aforementioned article talks about: customer focus, IT asset management (ITAM), automation, artificial intelligence (AI), customer experience (CX), consumerization, cloud, DevOps, service integration and management (SIAM), security, the internet of things (IoT), business relationship management (BRM), and digital transformation. WOW! It’s a lot of change. And on top of this is the continual demand of the business for IT departments to deliver more and faster so that they can remain competitive or relevant in a world in which change is now constant. We’re moving into an era of increasing disruption and if there’s even been a time to focus on our people – it’s now! Without such a focus on the people side of change, none of the other required changes will come to fruition. Not only is change constant today, it’s also unpredictable and complex. Organizations need to be ready to change direction at the drop-of-a-hat due to dynamic and disruptive internal and external factors. This is why I argue that the term “organizational change management” is an oxymoron – you cannot manage what is often intangible and unpredictable. So how do we focus on the people side of change in this brave new world of constant and complex change? How should IT departments approach change? This is by no means an exhaustive list, but these are all assuming episodic change and are primarily based on the 1940’s organizational change management model from German-American psychologist Kurt Lewin. 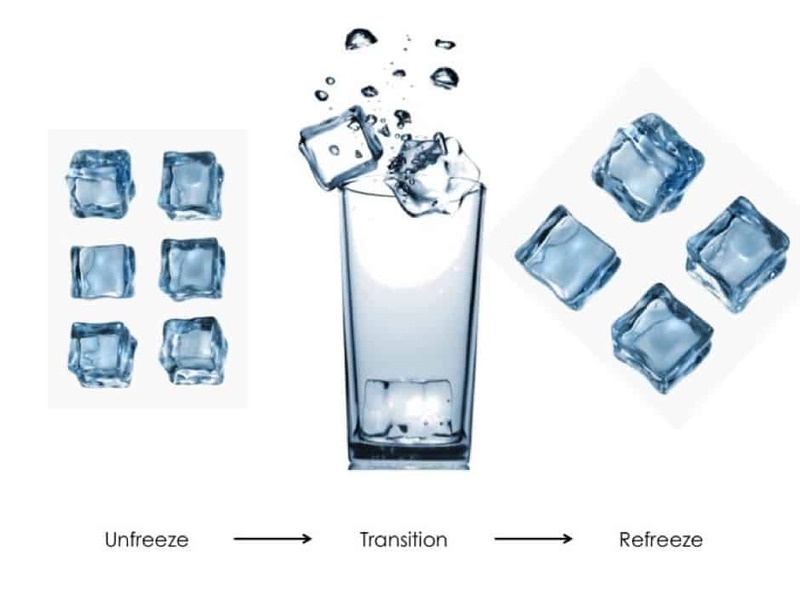 Lewin’s model had 3 stages – unfreeze – transition – refreeze. That our approach to organizational change management needs to become less rigid and more natural. We need to create an organization in which change is truly everyone’s business. This means that our employees are self-managing (i.e. they decide what to work on, how to work on it, and when to work on it). Decision-making is decentralized so that decisions are made at the place in the organization that makes most sense. If decisions have to flow up and back down a hierarchy, opportunities will be missed and the organization will cease to be relevant or competitive. Everyone should be allowed to innovate, experiment, and be creative. There also needs to be high levels of collaboration and cooperation. We do not have time – in a world of constant change – to micro-manage resistance. We need a workforce that accepts that change is constant and complex, and what we were planning to do yesterday could be very different to what we are doing today. We can build that resilience through behaviors such as decentralized decision-making, self-management, constructive conflict, trust and respect, role fluidity, transparency, meaningful conversations, adaptive leadership, accountability, support, and shared goals, to name but a few. When change is made everyone’s business, and everyone can make the changes needed as fast as they are needed, not only will the organization survive but it will also thrive. Basically, you have to kill the hierarchy! For an organization to survive and thrive in a world of constant and uncertain change, the organization has to be one in which leadership is important, but MORE important is a collaborative workplace in which transparency and creative freedom reign over hierarchical boundaries. This enables innovation, creativity, experimentation, rapid decision-making, agility and employee ownership, engagement, and influence. There is widespread autonomy, and everyone leads. The only way to enable a “faster” organization that can respond to constant change is to flatten the structure. It needs to move away from a structure of hierarchical control to a flatter structure that removes the bureaucracy that slows organizations down. Sound like anarchy? Well it isn’t. There are many examples of very successful organizations who are successful because of these behaviors. Take a look at: Zappos, Morning Star, W.L. Gore, General Electric, Caterpillar, Valve, GitHub, Pixar, and SemCo. They have become “flatter,” everyone can lead, and everyone can drive change. It is important to note that most of them also have “guardrails” or principles that guide everyone in what they do. If everyone follows those principles, then all is good. Organizations see greater synergy when employees are provided with context for understanding business needs, guardrails for decision-making support, and responsibility for the decisions they make. Guardrails keep decision-making aligned with organizational goals and objectives. To successfully transition people and the organization through constant change, we need to remove the bureaucracy, flatten the hierarchy, speed up decision-making, empower and involve employees, and give control to those that are the one actually doing the work. OK – now we get to the crux of the matter! If we’re going to ensure that we have a workforce that is resilient to change, we need leaders not managers. Leaders need to lead not manage and help employees become leaders themselves and resilient in the face of constant change. Building resilient teams is about effective leadership, team cohesion, mutual support, and open, honest communication. Leaders have to lead by example. Leaders encourage team cohesion, are supportive, recognize progress, communicate effectively, and are transparent. Removing employee autonomy through command and control management will destroy employee resilience in a world of constant change because they’re at the mercy of the manager! We need leaders who will build a culture in which everyone leads. Leaders have to “get out of the way” and give employees autonomy, decentralize decision-making, and allow everyone to self-manage. Great leaders inspire, and then get out of the way. "Surround yourself with great people; delegate authority; get out of the way"
Control just slows everything down and leaders become bottlenecks. The organization is suffocated. Surrender brings speed, innovation, creativity, and collaboration. Control brings frustration, cynicism, disengagement, and mistrust. Leaders need to get out of the way and let employees take calculated risks. Great leaders let employees take risks without adverse recourse. We need employees who are creative and innovative. Fear of repercussion will stifle this. I’ve had some interesting conversions on social media lately with change practitioners who are still hanging on to 50-page change management strategy documents supported by a communication plan, training plan, resistance management plan, and reinforcement plan. We simply DON’T HAVE TIME for that anymore. They may have their place today but they certainly won’t tomorrow. It’s time for change to change! It’s time for a wake up and shake up if we’re to honestly put people first and make sure that is all about the people. It’s a free event and all attendees will receive an advance copy of my white paper of the same name. I’ll be exploring a lot of what has been written here plus more! You can find all the details here. 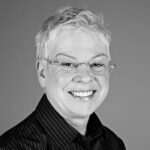 Karen Ferris is an internationally acclaimed service management professional and organisational change management practitioner with a reputation for providing both strategic and practical advice, assistance and insights for organisations in their implementation and maintenance of efficient and effective business and service management. She is an author, facilitator, trainer, speaker and coach. In 2011, Karen authored the acclaimed itSMF publication ‘Balanced Diversity – A Portfolio Approach to Organisational Change’ introducing a new and innovative framework for ensuring that service management changes become embedded into the fabric of the organisation. In 2005 she was awarded the Presidents Prize for best speaker by itSMF Australia. In 2007 she was named Service Management Champion and in 2014 itSMF Australia bestowed her with the Lifetime Achievement Award for her contribution to the industry. In January 2017 Karen was named as one of the top 25 thought leaders in service management by the Service Desk Institute. In July she was named in the top 20 ITSM thought leaders by Sun View Software and in October, the Business Relationship Management Institute presented her with a Global Excellence Award. She is also a Director at Macanta Consulting. In the second of our wellbeing articles, Ian Stock offers advice based on his personal experiences of wellbeing and mental health; including understanding "anhedonia" – a word that doesn’t seem to be widely known (unlike hedonism). Read more here.